Part fairy tale, part love story, Victoria Schwab’s debut novel is entirely original yet achingly familiar: a song you heard long ago, a whisper carried by the wind, and a dream you won’t soon forget. Excerpt from Goodreads. To start I’m going to say wow this book was one of the most imaginative original stories I have read in a long time! Victoria’s words flow like a song through the entire book and there’s never a dull moment. I rarely find a story where I have absolutely nothing to compare it to all I can say about this one was it reminded me of a ghost story told around a campfire to scare the children to stay in their tents. I immediately found myself attached to Lexi’s character and also the stranger’s. I felt the up and down emotions of love and loss, smelled the moss on the moor, felt the wind in my hair, and shared their fear. I also really like some of the secondary characters the sisters Magda and Dreska reminded me of my own two grandmothers minus the magic. The Near Witch is scary as all get out and let me tell you I don’t scare very easy but I felt goose bumps the first time I actually met her. I wanted to post one of my favorite parts to show how Victoria’s words float off the page. I absolutely loved this book! It made me cry and almost jump out of my seat I could not put it down. 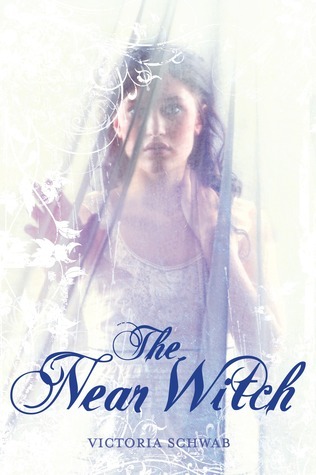 So if you’re looking for something new and exciting to read go buy The Near Witch when it comes out in August I highly recommend it.! Thank you Disney-Hyperion for a galley from Netgalley and thank you Victoria Schwab for sending Hallie Patterson at Disney my information for an ARC you all are amazing! Great review! And it sounds like a thrilling book. Wow, that was meant to say "if you're interested" ^ *facepalm* Sorry. Awesome review! Very interested in reading this!